The GSSAP satellites are designed to operate in near-geosynchronous orbit. Image courtesy of United Launch Alliance. The GSSAP satellites are operated by the 1st Space Operations Squadron of the 50th Space Wing. Image courtesy of United Launch Alliance. The third and fourth GSSAP satellites were launched in August. Image courtesy of United Launch Alliance. The first two satellites in the GSSAP programme were launched aboard a Delta IV M+ (4.2) rocket in July 2014. A series of satellites in the Geosynchronous Satellite Space Awareness Programme (GSSAP) are designed to meet space object surveillance needs of the US Air Force. The GSSAP satellite programme was announced by the US Air Force Space Command in February 2014. Orbital ATK’s predecessor, Orbital Sciences Corp is the prime contractor for the design, construction, integration and testing of the GSSAP spacecraft. The first four satellites have been launched to a near-geosynchronous orbit at an altitude of 35,970km above the Earth, as of August this year. The satellites will strengthen the US Strategic Command’s ability to perform space object surveillance operations such as orbital prediction, detection and tracking of space objects, in order to improve safety of space flight and threat detection in the geosynchronous orbit. They also offer enhanced space situational awareness data for accurate tracking. The first four spacecraft in the GSSAP series were built at Orbital ATK’s production facility in Dulles, Virginia, US. 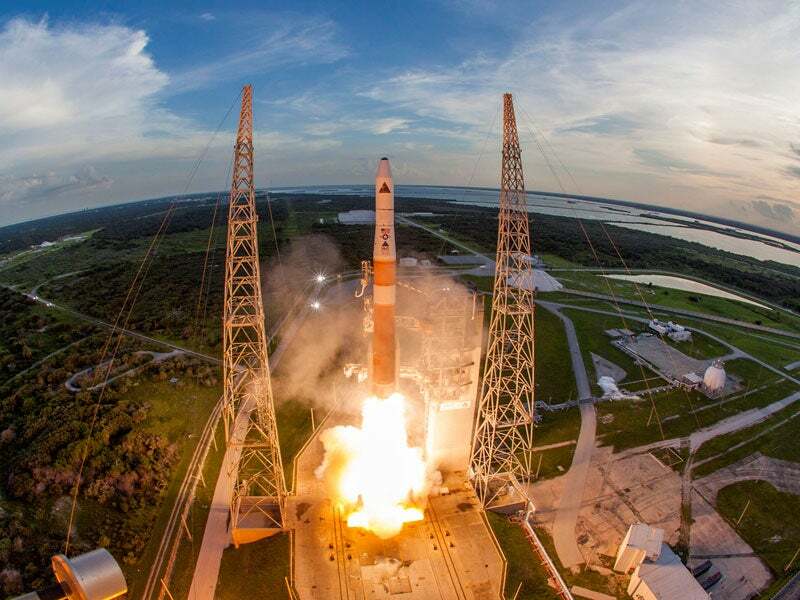 The first two satellites were launched by a Delta IV M+ (4,2) rocket, developed by United Launch Alliance (ULA), from the Cape Canaveral Air Force station in Florida, US, in July 2014. The launch was performed as part of the AFSPC-4 (Air Force Space Command 4) mission. The third and fourth satellites were launched aboard a Delta IV rocket in August from the Cape Canaveral Air Force Station, as part of the AFSPC-6 mission. Each satellite in the GSSAP space situational awareness mission has a mass between 650kg and 700kg. Power for the spacecraft comes from two deployable solar arrays. "The first four satellites have been launched to a near-geosynchronous orbit at an altitude of 35,970km above the Earth, as of August this year." The satellite carries an electro-optical surveillance system to detect, track, characterise, observe and gather information of the resident space objects orbiting the Earth, from a near-geosynchronous orbit. The sensor is capable of capturing real-time information during day / night and difficult weather or atmospheric conditions. It also incorporates a flight computer module to perform power management and attitude control tasks. The spacecraft has the ability to make rendezvous manoeuvres and proximity operations near the specific space objects, to collect imagery from the best possible view points. Command and control of the GSSAP space object surveillance satellites is performed by the 1st Space Operations Squadron of the 50th Space Wing situated at the Schriever Air Force Base. A high-rate communications link transmits the real-time situational awareness information collected by the satellite payloads to the 1st Space Operations Squadron through the global air force satellite control network (AFSCN) ground stations. The ULA Delta IV M+ (4.2) launch vehicle consists of a common booster core, a cryogenic upper stage and either a 4m-diameter or 5m-diameter payload fairing. It is capable of carrying payloads weighing 6,160kg to geostationary transfer orbit and of 12,900kg to low Earth orbit. Powered by a RS-68 engine, the launch vehicle employs two strap-on solid rocket motors for the first stage and one RL10B-2 engine to power the second stage. The payload fairing fitted at the top is used to protect the payload.